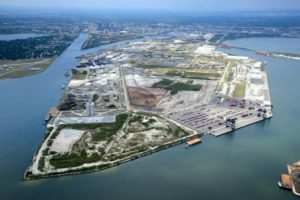 On July 22nd Port Tampa Bay officially commissioned its two new, post-Panamax gantry cranes, amid an enthusiastic crowd of dignitaries and port customers. 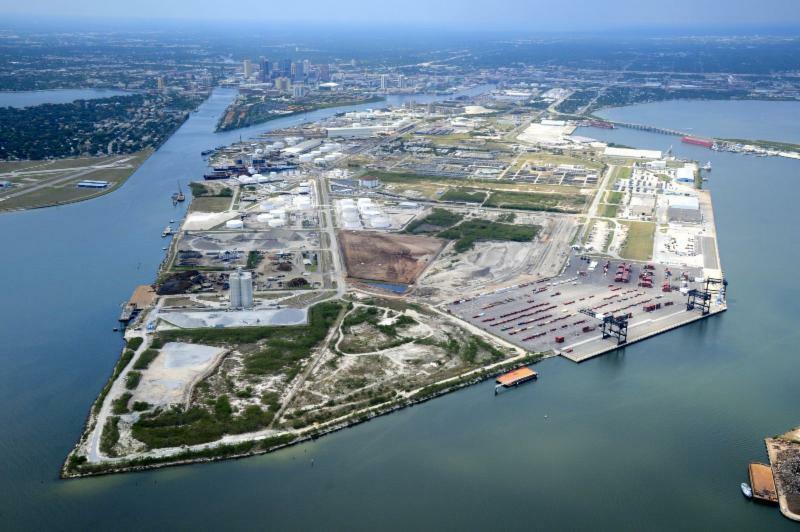 Florida Governor Rick Scott delivered remarks highlighting the significance of this enhanced capacity for Port Tampa Bay to serve Florida’s expanding international trade, as well as the importance of the state’s seaports and logistics sector in generating jobs and economic development. Many noted dignitaries spoke to the important milestone the new cranes represent and the value of global trade and seaports to the economy. Representing a cost-shared capital investment of $24 million by Port Tampa Bay, the State of Florida, and Ports America, the new cranes are part of the port’s ongoing efforts to expand and diversify its cargo business, in particular the large and growing market for containerized cargo in the port’s backyard – the Tampa Bay/Orlando I-4 Corridor region. Home to the largest concentration of distribution centers in the state, the Tampa Bay/Orlando I-4 Corridor is the fastest growing region of Florida, recently surpassing New York as the third most populous state, with more than 20 million residents, and welcoming more than 100 million tourists per year.